This is NOT a review of Friendlybreeders.com. Friendlybreeders.com is part of a criminal organisation which steals money by falsly claiming to sell pets. Friendlybreeders.com is not a puppy breeders website and this is not a review of Friendlybreeders.com. This is a warning. They claims to sell puppys but the domain was actually created by criminals in order to defraud people wanting to buy a maltese. They will even send you “proof” by showing you pictures they have stolen off the internet of maltese puppys. Friendlybreeders.com will claim to deliver the puppy using a Fraudulent Delivery company. To see more scam websites involving maltese puppy have a look at Maltese Puppy Scams. Friendlybreeders.com was registered on March 12, 2019 with NAMECHEAP INC . These details are correct as of today (April 2, 2019) but the name and address could possibly belong to an innocent third party if the domain was registered using a stolen credit card. Friendlybreeders.com was registered using the email address fb1cab5bf3184391957127f0df663e67.protect@whoisguard.com. It was registered and 21 days ago on March 12, 2019 and expires March 12, 2020. Friendlybreeders.com was registered with the domain registrar NAMECHEAP INC.
To send an abuse report to NAMECHEAP INC please click the red button below and complete the email to help shut down Friendlybreeders.com! I have been emailing with this breeder, so you are saying you did send money and then did not get the puppy?? They are not legit ? I was told I could come and pick up the puppy at the address they gave, also sent me a copy of Mark and the drivers license. Also not legit?? FriendlyBreeders.com are not breeders and this is not a review of FriendlyBreeders. It is simply a website created by criminals to con people out of their money. The website (which has now been shut down due to fraud) used photos stolen from the internet. You would effectively be paying hundreds of dollars for a photo. The address the give is real however it belongs to an innocent 3rd party. (See here: Homeowners address used in puppy scam. The scammer has nothing to lose if you drive several hours for nothing. They sent you an image of two drivers licences and are claiming they are the people in the licence. They searched for an image of a driving licence, created an email using the name in the licence. How did they ask you to pay? If they actually have the pup in their possession, they can VERY easily take a short video of the puppy. Included in the video should be a piece of paper with your email address on it. Please let us know what they say as it shows the scammers techniques! 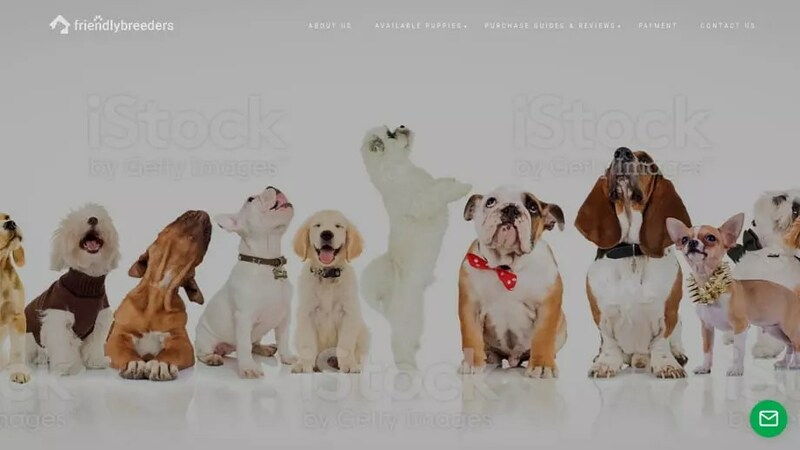 I search and found this site and it had the dogs I wanted. The name of the breeder is Mark but the email had to be paid there Zelle payment. The money is to be sent to a person named randolph and not to mark the breeder. they have a copy of a license of a person named mark with front and back of his license. Where he live his address and all. I was to purchase this puppy on March 31 but the invoice says Januaruy 4, 2019. I should have checked it first before sending any money, but they did not get all of it because my bank had a limit on my funds.